Disclosure: I was provided a discounted media rate for our recent stay at the Swan. I planned to stay there and was not required to write a positive review; all opinions are my own. 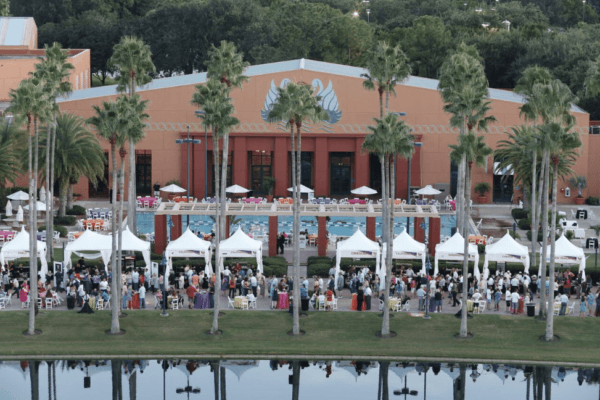 The Swan and Dolphin Food & Wine Classic. Santa’s Favorite Resort. Karaoke every night. 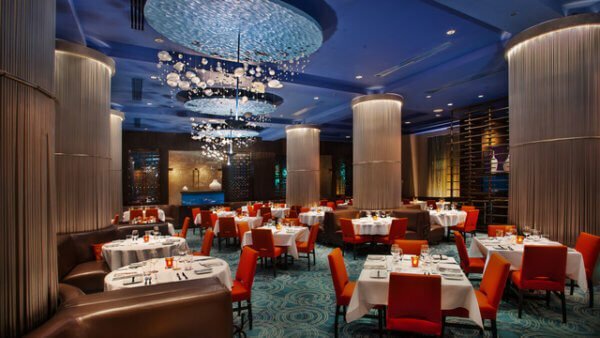 Shula’s Steakhouse and Todd English’s bluezoo. As a fan of all things Disney (especially Disney parks) and a 20+ time veteran of Walt Disney World, one hears things (good things!) about the Swan and Dolphin. And of course, one sees the uniquely beautiful Michael Graves designed resorts (with 56-foot high statues on each!) from her beloved Epcot Resort Area. But as a DVC member and someone trying to stay at every resort on property, one may not give much thought to these two “Are they off-property or are they on-?” resorts. I recently had the chance to stay at the Swan, and I can say with certainty that we will be back – with the kids, and probably more than once. The Swan and Dolphin were, in a nutshell, “ordered” by Michael Eisner in the late 1980’s to fill a need. Walt Disney World wasn’t yet great at convention spaces, so Eisner wanted to bring in groups that were. The land the two resorts sits on is owned by Disney and leased to Tishman and MetLife, who built and own the buildings. The Swan operates as a Westin hotel, while the Dolphin operates as a Sheraton. Confused yet? As a former aspiring hospitality student, that all fascinates me. But if it isn’t your cup of tea, this is the information you’ll want to know: the hotels are both gorgeous with great amenities, service – at least at the Swan, though I have no reason to believe otherwise about the Dolphin – is outstanding, and you’ll get many of the benefits of staying on Disney property. The two properties are best described as one shared campus, with varying shops at one versus the other, and the only counter service option at the Dolphin. The walk is literally just a few minutes between the two though, and the shared grounds are as beautiful as the hotels. 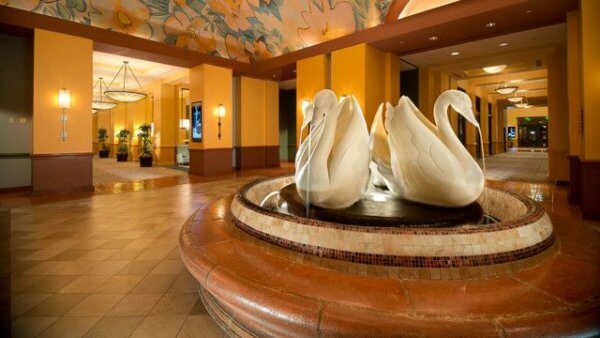 The swan has more than 750 rooms and is still just about half the size of the Dolphin (with over 1500 rooms!). gorgeous, welcoming lobbies. The swan fountain in the lobby (and mirrored in various courtyards) is enchanting. The rest of the architectural choices are breathtaking while still comfortable. You’ll know you’re at a luxury resort but will quickly feel “at home”. incredible dining options. Between the two resorts you will find 17 great dining choices including Il Mulino New York Trattoria, Shula’s Steak House, Todd English’s bluezoo, Kimono’s (a Japanese sushi restaurant with a great atmosphere), Garden Grove, Fresh Mediterranean Market, The Fountain, Picabu (a 24-hour counter-service restaurant and taqueria), Java Bar, plus poolside dining and numerous lounges. We have experienced a few of these (Shula’s, Il Mulino, Garden Grove, and the Fountain) and each experience deserves a review of its own! Camp Dolphin. 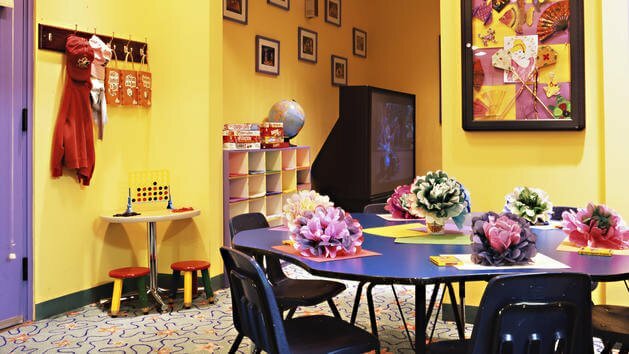 The on-site kids club for children ages 4-12 is open every evening and offers plenty to keep younger visitors busy, including supervised projects and activities, video games, movies and more. And the best, most unique part of all? Parents visiting one of the fabulous restaurants or the Mandara Spa can receive up to two hours of FREE CHILDCARE for two children. This is vacation-changing, friends. No longer do you have to wait for (or dream about) adults-only visits to enjoy a few more relaxed, kid-free dinners. family activities. One of the things that made me really happy upon check-in was the vast array of family activities offered. We were given a paper schedule, and signage could be found throughout the resort sharing some of the options. We are big fans of the resort activities at Disney hotels (and especially the Disney Vacation Club properties), so this is definitely a draw for our family. While we were there some of the things taking place included: “Build-a-plush”, volleyball, “Cool Candy Happy Hour” (with a treat by the pool! ), dance lessons, campfires and s’mores, ping pong tournaments, group fitness classes, crafts, game shows, hair braiding, Mermaid and Shark Academy (“swim lessons” with super fun twists – and provided costumes! ), bingo, and movies on the beach. The one thing I simply cannot wait to bring my three kids back for though, is the “Plush Pal Playtime Dropoff”. While your family is out having fun and making memories, your kids’ stuffed pals can, too! They spend the day exploring the resort, and when you pick them up you’ll get a report card and pictures from their adventures. So cute! the swimming pool and surrounding areas. “The pool” is actually 5 pools on 3 acres of water play – waterfalls, a white sand beach, whirlpools, lap pools, etc. There is something for everyone! other intentionally kid-friendly services. 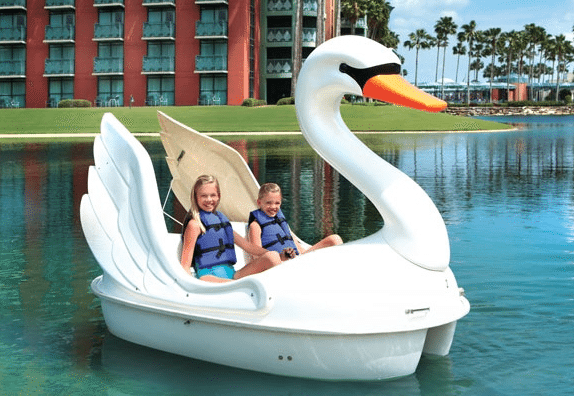 Unlike some resorts of this quality, the Swan and Dolphin welcome kids with open arms. Ask about the rewards program for good grades, child-proofing safety kits, playgrounds, and miniature golf at Fantasia Gardens (within walking distance from the resort). character dining. Character Dining, offered at Garden Grove, is the one thing that has almost brought me to the Swan time and again (and really should have a long time ago). 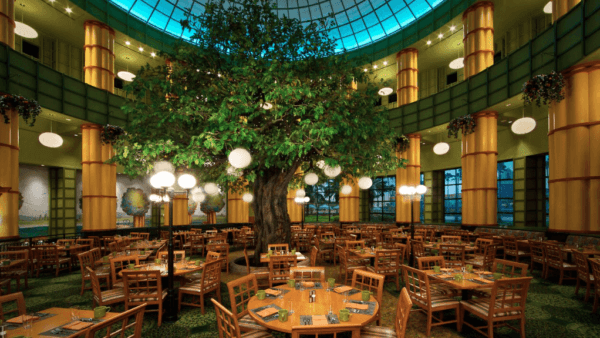 The restaurant is beautiful, with a 25-foot twinkling Oak tree completing the Central park gardens theming. Garden Grove is open for breakfast, lunch, and dinner. 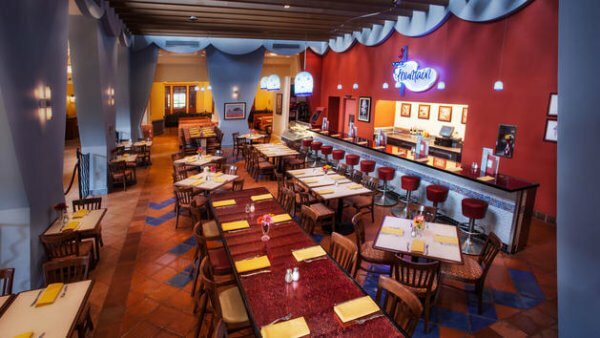 Characters are available at dinner each night, as well as breakfast on the weekends. The food is delicious and affordable; it’s especially great for families that love character dining but are looking for something new! nightly karaoke. Seriously, when a friend of mine told me that he had taken his friends for some karaoke at Walt Disney World, I almost couldn’t believe it. If you’re a fan, this is one activity you have to plan! Adult Karaoke takes place each night in Kimono’s, providing a lot of fun in a super cool atmosphere. location, location, location. If you’ve been here long you know our love for the Epcot Resort area. 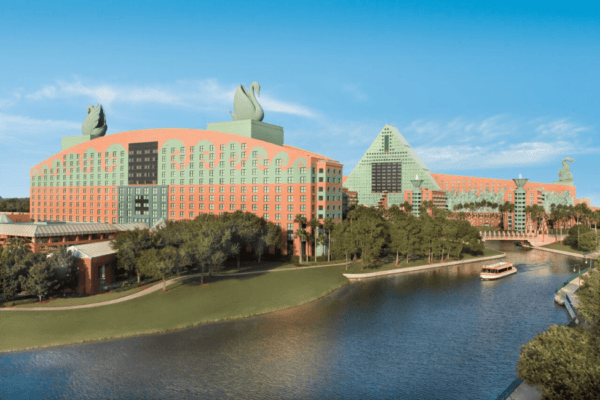 Just in case you need a refresher, the Swan and Dolphin are an extremely short walk to Disney’s Boardwalk entertainment district, the Yacht & Beach Club resorts, Fantasia Gardens Mini Golf, as well as Epcot and Disney’s Hollywood Studios. Feet tired? 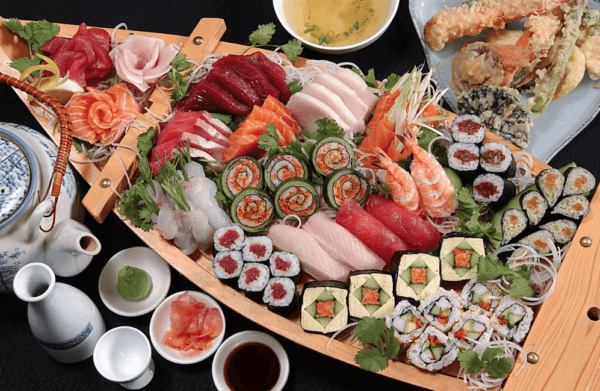 Take the super convenient Friendship Boats, relaxing on the 15-minute-or-less journey! heavenly beds. All of the rooms at the Swan have just undergone renovation, but thankfully (and obviously?) they kept the “heavenly beds”. The Westin heavenly beds are famous in their own right, and for good reason. I’m awfully picky about beds and pillows, which means most hotel sleep is miserable. Not so at Westin hotels, and therefore at the Swan. I slept quite soundly and with no pain the next morning! Personal Pantry. Instead of a traditional minibar, the Swan offers the “Personal Pantry” service. Competitively-priced snacks and drinks can be ordered in advance and waiting in the mini-fridge upon arrival (or restocked 24 hours/day), with no extra delivery charge. This is such a fun surprise for the other guests in your room, and a convenient option over a rental car and trip to the store or an expensive grocery delivery service. Plus, the snacks the kids (or you) might want to dig into are already paid for and won’t add surprises to the bill like a minibar might! Disney resort guest benefits. 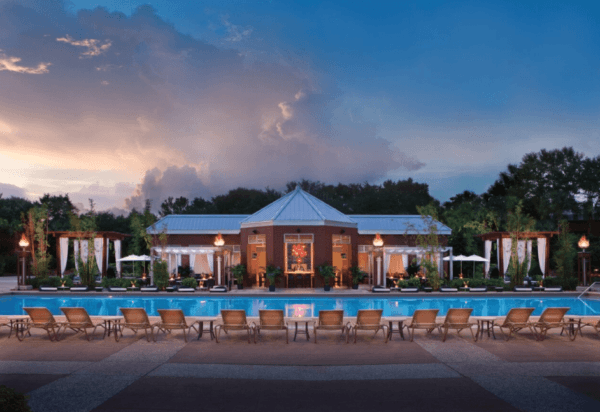 The benefits for these resorts aren’t identical to other directly owned and operated Disney resorts, but they aren’t lacking! 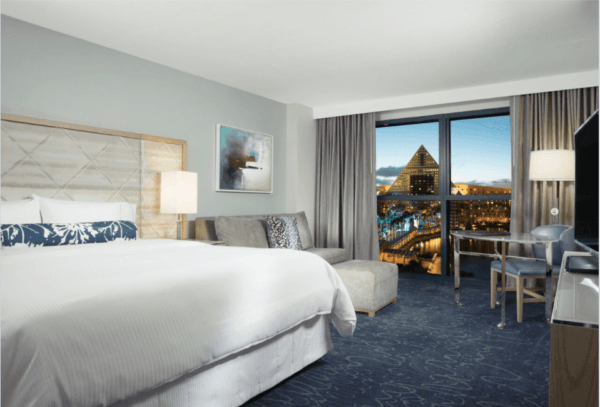 Guests of the Swan and Dolphin enjoy access to free Disney transportation, Extra Magic Hours, Fastpass+, package delivery, free theme park parking, and more. October 2015 will bring the sixth annual Walt Disney World Swan and Dolphin Food & Wine Classic. Considered at first (by me, anyway) to be sort of a “little sibling” to the behemoth Epcot Food & Wine Festival, I’m growing more and more interested in this event. Countless WDW veterans, media outlets, and friends of mine have said this is the single event they’d choose, were they forced to choose between the food-centric events in the Orlando area. I shouldn’t be surprised, given the incredible lineup of restaurants the two resorts have! The Food & Wine Classic has more than 40 food and wine stations, 10 food and wine seminars, and visits with award-winning chefs, including Todd English. In the causeway between the two hotels, guests will be treated to live entertainment and even “some spooky fun on Halloween night.” I know we would both enjoy the samplings from the top-notch restaurants on property as well as other offerings from around the world, but if I were going this year I would have my sights set on desserts from World Champion Pastry Chef Laurent Branlard. And the food truck area. And Cib’s Smokehouse. And the S’more Sundae Action Station. I don’t even know what an “action station” is, but now I can’t wait to visit it. 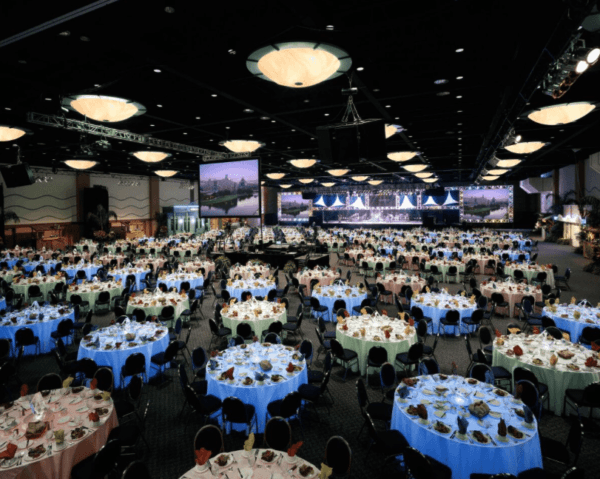 The seminars require extra tickets, but the flat fee causeway ticket ($105/person) includes unlimited food and beverage samplings in the main area of the event (alcohol included). Yes, I said unlimited. 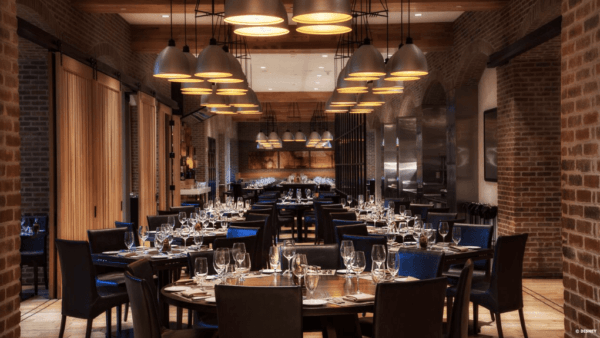 An upgraded ticket option ($125/person) adds a beer garden with local and seasonal beers plus “Oktoberfest-inspired” cuisine. There are weekend packages available, though unfortunately rooms are very limited for this year. No worries, let’s just start planning 2016… or if you’re in the area, tickets are still available for the event itself! 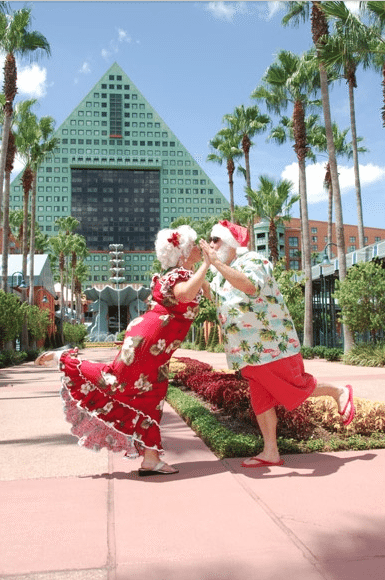 Each year in November and December, gearing up for the big night (December 25, if you’re keeping track), Santa and Mrs. Claus soak up some sun in their special Tiki Hut at the Swan and Dolphin. They’re there to relax and prepare, but they aren’t too busy to say hello to visitors! 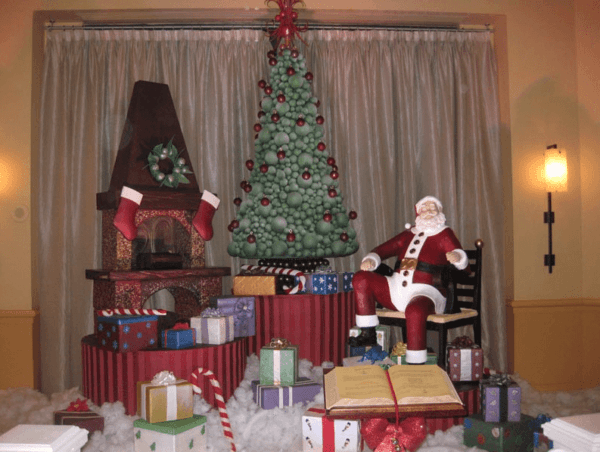 You’ll also find holiday-themed activities and the world’s largest chocolate Santa! 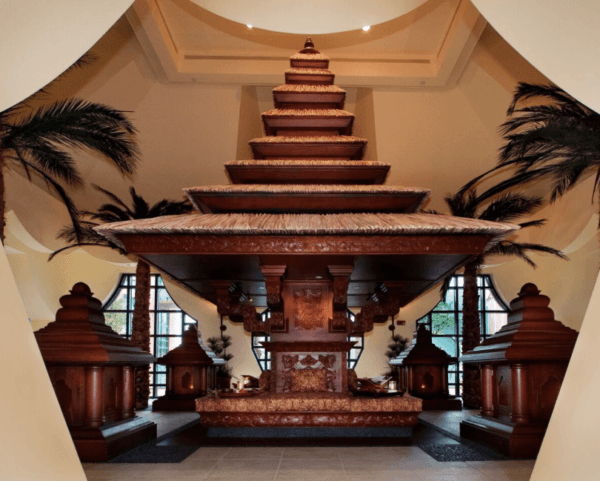 The 12,000-square-foot, ancient Asian-inspired spa called my name during our trip, but alas 2 days just isn’t enough time to fit everything in. In addition to spa treatments and their signature Balinese Massage (incorporating Swedish massage, stretching, and elements of Shiatsu) Mandara also offers a tea garden and meditation area with lakefront views, a hair and nail salon, and well-appointed locker rooms. Finally, we aren’t in the need for meeting space any time soon, but if you are the Swan has you covered there, too. I’m not sure if this is a “we love what we experience first” situation, but I have to admit I felt more “at home” at the Swan than when we visited the Dolphin during our stay. 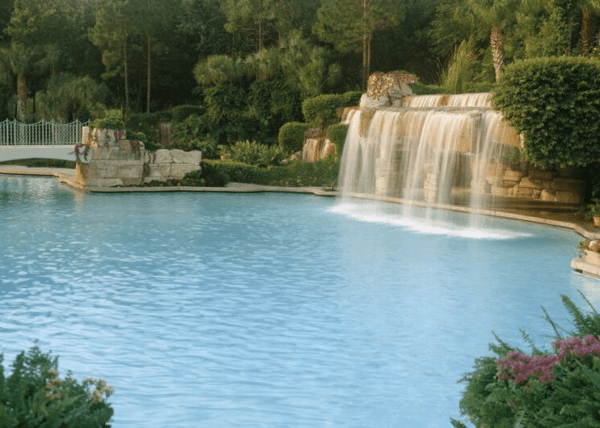 I’m positive both offer an incredible experience (and certainly some guests will prefer a Sheraton or Westin based on other travel), but each resort definitely provides a slightly different atmosphere. I suppose I’ll just have to stay at the Dolphin next time, to be sure! 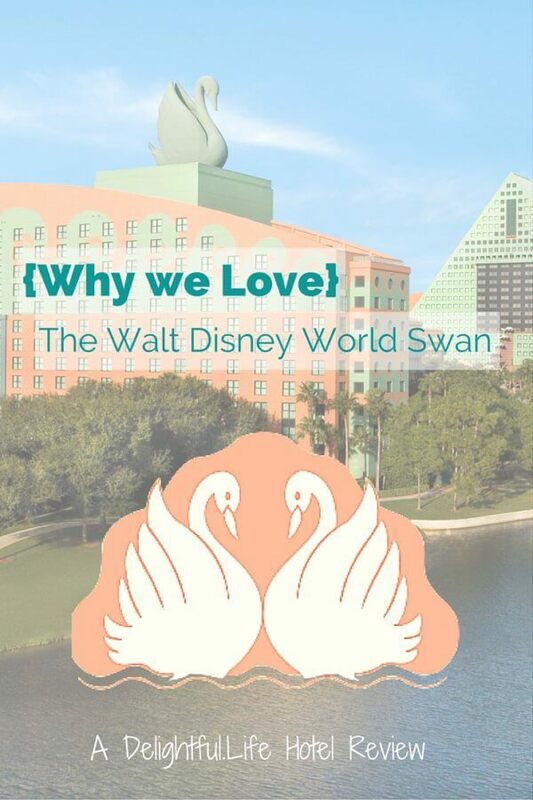 All photos in this post provided by the Walt Disney World Swan and Dolphin hotels, unless otherwise noted. Previous Post: « Where to find characters at Walt Disney World – a free printable!